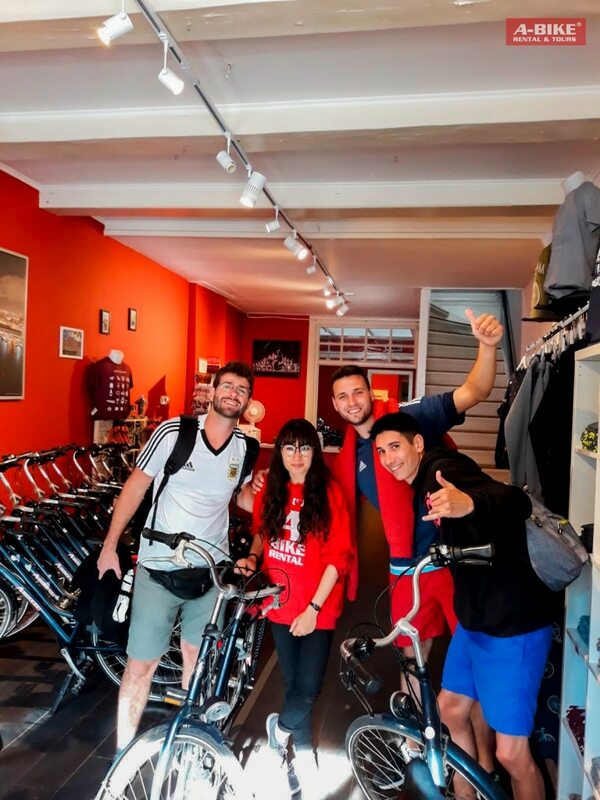 These guys came to our shop A – Bike Rental & Tours Dam Square. They are this kind of people that can’t stop smiling, something that we love at A – Bike. They wanted to rent three bikes for one day (the rental period for one day is 24 hours, you can actually enjoy your bike during the night) to discover Amsterdam by bike, the best way possible. As you can see in the picture, they are big football fans. The one on the right and the one that is in the middle of the picture are wearing the Argentinian football t-shirts. 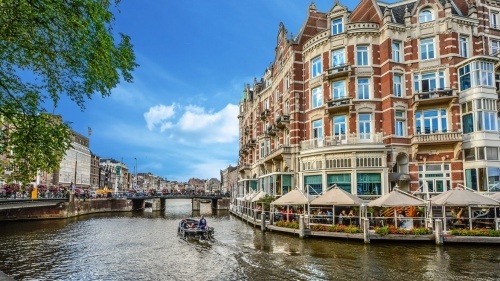 We wanted to know more about them, that’s why our colleague asked if they were traveling around Europe or just Amsterdam, we were surprised by their answer. ‘Actually, we are traveling around Europe but our goal is Russia, we will go there to watch the World Cup’. We could just think about one thing, they are cool guys and they are super lucky! They did the registration paper with our colleague to rent the bikes. She advised them some places to visit. After that, something happened. We love our colleague, and we are allowed to say that she is a bit short. When she was giving and explaining to them how the bike works she had a small problem with one of the guys. While she was giving them the bikes they were doing funny dancing. Doing that, the elbow of the tallest one (the one that is wearing the blue t-shirt) hit the face of our colleague. She was in pain and he was feeling so sorry that at the end the only thing they could do was to laugh together and take a picture to remember of! In the meantime, they were having football conversation with another colleague. All together were the biggest football fans ever! They left, had a great time and followed the tips that our colleagues gave to them. When they came back, they were happy that our colleague was still smiling after she got smashed. Have fun in Russia guys, see you in Amsterdam in your way back!